Sapphires from Sri Lanka ( formerly Ceylon ), Sri Lanka sapphires are probably the worlds most famous and sought after sapphires due to the color in the blues only second to the extremely rare Kashmir sapphire. Today Sri Lanka sapphire's are the most sought after world wide by the top gem buyers and collectors the world over. Marco Polo once wrote on a Visit to Sri Lanka “I want you to understand that the island of Ceylon is, for its size, the finest island in the world, and from its streams comes rubies, sapphires, topazes, amethyst and garnet.” Little has changed since Marco Polo’s time, Sri Lanka it is a small pear shaped island off the Southern tip of India and because the quality of gem stones from Sri Lanka is still known as India's jewel box. At Sapphire Ring Company we have our own full time gem broker who is always using one of our two offices we keep on the island, one in Colombo the capital of Sri Lanka ( Ceylon ) as well as our second office in Beruwala which was opened in January of 2013 and updated in 2017 with newest LED lighting and the latest cameras allowing both us and our gem broker to inspect every sapphire in all lighting conditions and be able to share this in real time with us & our customers. Our Gem Broker works with us on a daily bases buying sapphires and rubies for us at the Gem markets on Wednesday and Saturday and now Sunday's at Beruwala, as well as meeting with small family miners and cooperatives who will meet with him at the office there, here he will search for the finest of sapphires in a array of colors from the richest of blues to the brightest of pinks the choices of colors we have bought here covers ever spectrum of the rainbow. Dixie in the updated offices in Sri Lanka with our gem broker June 2017 meeting with new gem sellers. 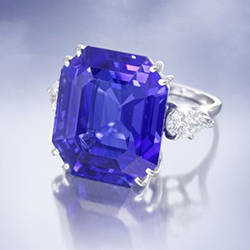 The Logan Sapphire is one of the words largest cut fine sapphires. This sapphire was found in Sri Lanka and cut their with a tcw of 423 ct's with this cushion cut showing off a wonderful medium rich blue with a hint of violet color. 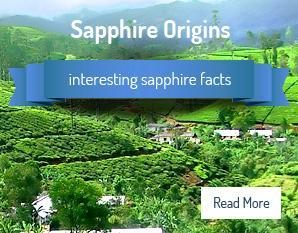 Historically the worlds most famous regions for sapphires have being Kashmir,Burma (Myanmar) and Sri Lanka ( Ceylon ). Kashmir sapphires were mined from 1882 to 1897 even though today some sapphires from Kashmir still surface its extremely rare due the civil unrest and fighting which has continued for nearly a century, full scale mining here has being finished for nearly 100 years and with a world trade embargo on Burma ( Myamar ) since 2003 leaves Sri Lanka ( Ceylon ) as the main country for producing the worlds top quality sapphires today. Creating new records in 2013, Here sapphire ring co shows a 43.16 ct rectangular sapphire from Sri Lanka which was recently sold at auction in Hong Kong fetching a price of $1.6 million US dollars making this sapphire one of the highest paid for a sapphire from Sri Lanka per ct - equaling $26,000.00 per ct. Recent scientific research estimates that only 10% of the natural sapphires and rubies from Sri Lanka have being found dating back before 500 B.C. David and Dixie working with our sapphire brokers in Sri Lanka. 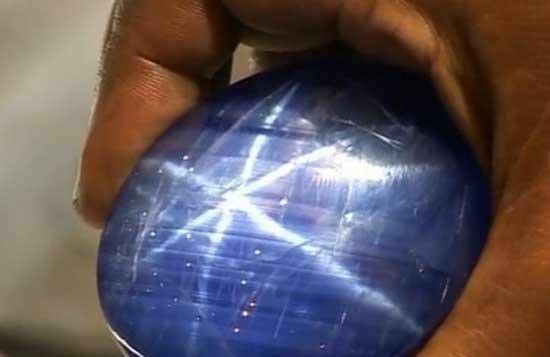 The worlds largest sapphire, has recently being found in Sri Lanka in 2012. This enormous sapphire weighed it at over 42 kilograms ( over 850,000 carts ) The sapphire has currently be given a price of $800 million US dollars once cut or just over a million dollars per ct carat making this the words most valuable sapphire both as a single stone as well as per carat if sold. Sapphire Ring Co first heard news of this sapphire from our gem broker in Sri Lanka back in the summer of 2012, at the time the sizes and value where not very clear however we knew any sapphire close to this size of gem quality will be an extremely rare stone and well worth a visit. In this picture you can see the huge 850,000 carat star sapphire from Sri Lanka. The sapphire was found by a man who owned a large amount of land with his relevantly small home not far from the city of Ratnapura , upon the find of this sapphire the stone was taken by him to one of the lager Gem houses in Sri Lanka where he was paid a very good price for the sapphire. We do know since then the sapphire has being cut into two with the larger of the two sapphires being the huge star sapphire in the picture we have shown here. To date Sri Lanka has produced 17 out of the top 20 largest sapphires found in the world today, sapphires of this size are of course extremely rare and have occasionally surfaced over the years. Sri Lanka had being mining the precious gem stones for over 2500 years or around 500 B.C according to records kept along with sapphires being found in very old and rare jewelry dating back to this time. Sri Lanka's sapphires mining dates back more than 2000 years and by far the oldest sapphires in the world and were originally found in abundance on existing stream beds, however as the years moved on and the demand for these precious gem stones grew these quickly became dry. Miners soon learned that the large deposit could be found in old stream beds digging down to old clay beds were many blue and yellow sapphire were found, at the time this became messy and destructive to the land disputes between farmers and miners became heated at times which lead to new mining methods which we still see today, these new mines mainly consist of a vertical mine shaft going down from 10 to 20 feet using feeder tunnels below ( like bicycle spokes ) using bamboo and timber to support the walls of these shallow mines. These mines are very easily closed up once all deposits have being completed causing very little damage to the farmers land and crops. This Video shows small deposits of gravel being taking to the surface were the gravel will be sieved and panned to see if there are any rough sapphires, on average a mine like this could yield around 10 to 15 ct's of gem quality sapphires per month and occasionally finding one or two sapphires per year around 4 to 5 ct's. 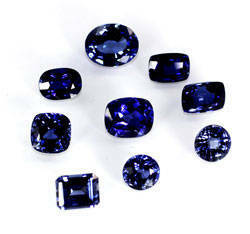 Its extremely rare to find sapphires in blues over 5 ct's of gem quality. This Video shows the water which is being pumped out of this shallow mined, at the end you will see a second basket acting as a sieve catching any small loose gravel which will fall into the drum to be checked for any sapphire deposits at the end of the day. This is a cooperative of miners who will go directly go to our Gem broker when sapphires or rubies are found,this helps keep the costs down missing out on a long chain of Gem brokers and Gem corporations .Typically each time a Gem stone is changed hand the price increase as much as 100%, many sapphires will go from these small cooperatives will go to the markets where they will be bought buy a Gem broker who will travel to the City where the sapphire is sold to a larger gem company and then sold to a larger gem house in many cases in Bangkok, Thailand before is it bought buy a large gem corporation for overseas sales. This is a typical path a sapphire or ruby will take and each time that stone is sold the price keeps rising,Sapphire Ring Co exclusively buys straight from our own Gem broker here in Sri Lanka enabling us to keep our prices very competitive as well as keeping the profits with the people who are working on these private family and cooperative mines. Rough deep blue sapphire approximately 15 ct's once cut and polished will be reduced to around 3 ct's depending on inclusions. The Gem trade in Sri Lanka surprisingly only account for approximately 3% of the countries exports, we are sure this is probably higher with some of the sapphires being taken out of the country illegally, here at Sapphire Ring Company we have all of our sapphires and rubies shipped out from our Gem broker via one of the countries Gem corporations with all taxes and duties paid. Today Ratnapura ( Singhalese for ‘gem town’ ) lies about 100 kilometers southeast of Colombo, here there are two main markets on a Wednesday and Saturday. 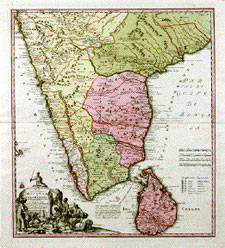 Ratnapura was built firstly as a small town and today as a city due to being close to many of Sri Lanka mining fields. 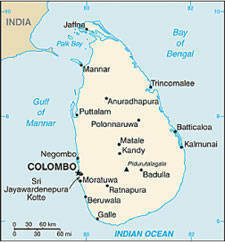 Sri Lanka has very strict laws on mining with licenses for new mines being issued carefully. Once a mine has being exhausted the land will be reset back to its original state / farm land. • Blue Belle of Asia 400 carats A blue sapphire Discovered in the City of Ratnapura.- Its being made famous for its rich peacock blue color and perfect clarity. • Star of Lanka 193 carats A blue sapphire currently on display at the Royal Ontario museum in Canada - the third largest sapphire of its kind in the word to date. CA. • Rosser Reeves Ruby 138 carats The largest star ruby known for its excellent color and defined star pattern currently on Display st the Smithsonian Museum in Washington D.C. USA. Probably the worlds oldest sapphire ring. It's very likely that the ring belonged originally to an Anglo-Saxon Archbishop of York, one of the Earls of Northumbria or a senior member of one of Anglo-Saxon England's royal families in the 5 to 6 th century. What is intriguing with this piece and period of jewelry today is seeing how far Sri Lanka is to England at nearly 5500 miles as well as covering one Ocean and several seas if this journey was by land. ( Recent reports for are coming in dating this Anglo-Saxon ring back to around 400-500 A.D making this ring one of the rarest and oldest sapphire rings to be found. The Sri Lankan Government established the State Gem Corporation in 1971. The main purpose of the corporation was to provide systematic improvement to the Sri Lankan gem industry by helping to improve skills and craftsmanship, increasing gem exports, allocating state-owned land for gem mining, and issuing permits and licenses. 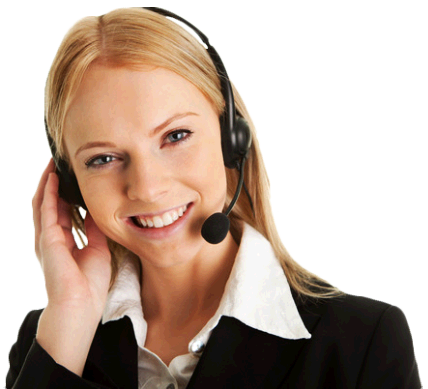 With the broadening of these objectives the Corporation has subsequently been restructured and renamed as the National Gem and Jewelry Authority (since 1993). Child labor was considered a major concern by the government and the Mines and Minerals act of 1992 prohibited any person under the age of 18 from participating in gemstone mining. The concern also extends to the gem-cutting sector where children are often trained and hired because of their superior vision. The gem-cutter’s career is often limited by age as vision deteriorates. Retraining older workers to perform other tasks is a concern that deserves further attention.